Packing of Now urea sacks is provided of 50 kg each.Approximately 600 Ton Vermicompost can be supplied. 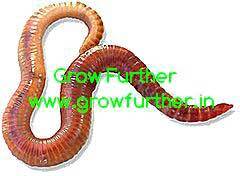 Small quantities are also supplied for home/garden. 50 kg packings are also available. Pacakging Size 1 kg,5 kg,10 kg,20 kg,50 kg packings are also available.